Mascot Beach Hotel is one of the hotels that located in Senggigi area. 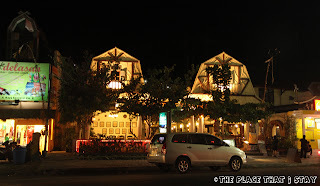 The entrance of the hotel is not exactly beside the Jalan Raya Senggigi, but we needed to turn left to the direction of Aerowisata Senggigi Beach Hotel. Then the hotel is near that junction. If we looked at the hotel from only the entrance, it seemed the hotel size was not that big, but when we walked to our room (which is like to the back of the hotel), then we saw that the hotel was actually really big. 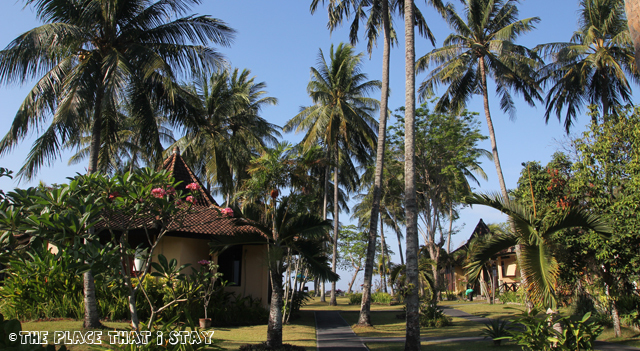 Mascot Beach Hotel designed their hotel into several bungalows. 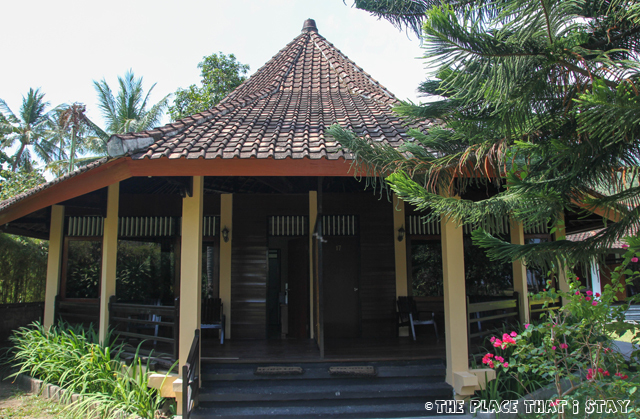 In each bungalow, there are two rooms; one on the left, and one on the right. Although their area is big, they didn’t want to cover all the area with the bungalows. They keep the numbers of bungalow low so it doesn’t look crowded. I think their priority is to have beautiful garden in the hotel. 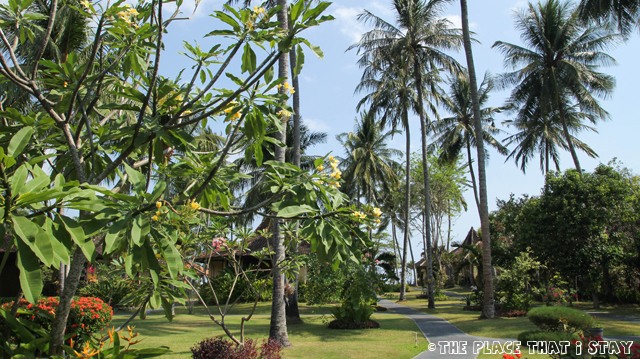 It shows that they keep the centre of the hotel away from the bungalows. They plant the coconut trees and other trees, and arranged them so it didn’t scatter here and there. The place is so beautiful, even the place still wow me after the first night. When I walked further, I could see the swimming pool, and the beach not far from the pool. Yes, not far. 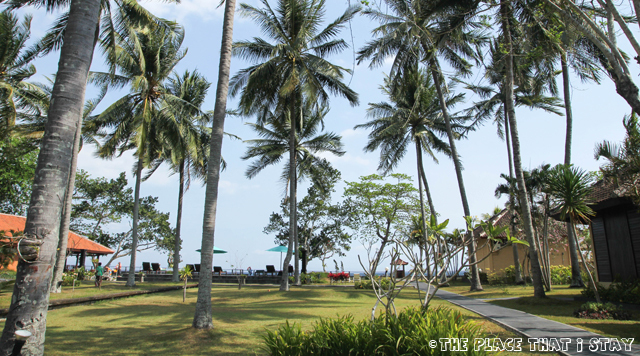 Mascot Beach Hotel is directly in front of the Senggigi beach. The only divider is the little fence between the beach and the hotel. 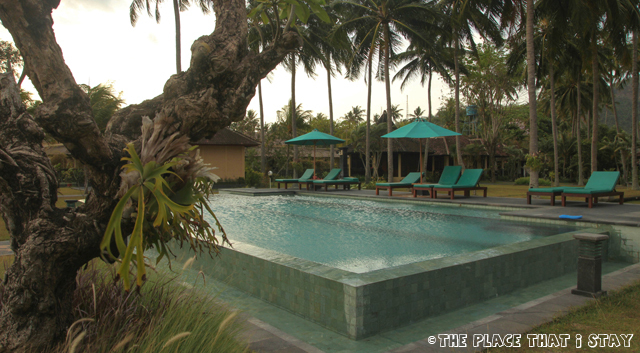 So it’s up to the guest, whether they want to enjoy the swimming pool, or just sit beside the pool and relax while looking at the beach, or perhaps off to the beach and wander around the Senggigi beach. 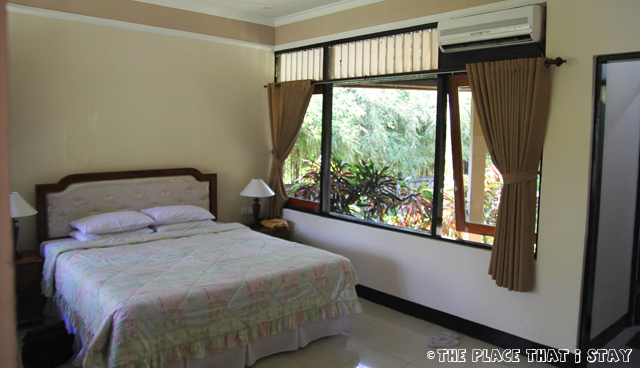 The bedroom in Mascot Beach Hotel was quite basic, but really spacious. We do like big room, so we’re happy with it. The bathroom was also basic, with a small room for shower, and another room for the toilet. The important thing was both bedroom and bathroom were clean. We didn’t check whether they also serve for dinner, because we always dined out. Our first breakfast was an a la carte menu, where I ordered nice fried rice. On the second day, they had buffet, which was nice too. 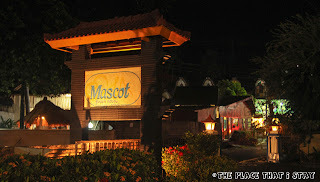 The location of Mascot Senggigi Beach Hotel is really strategic. Beside located in front of the Senggigi beach, the hotel is also near many restaurantsand cafes. 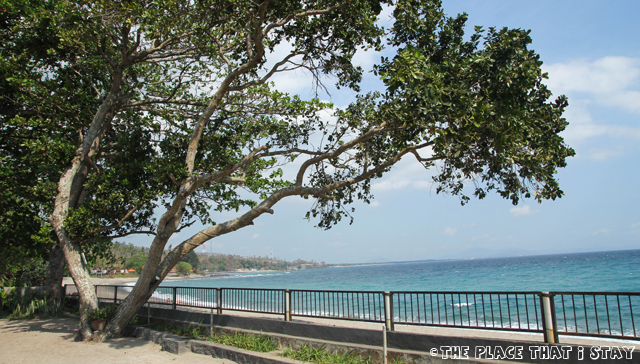 We tried as many restaurants/cafes as possible during our stay in Senggigi. If you’re tired after going out for the whole day, you could have a massage nearby the hotel, called Orchid. Nice write bro….Thank you so much. I have similar interests like you too…..but have one more….CYCLING…. yOU TAKE CARE AND KEEP IN TOUCH…woooooow…..travel every month…ENJOY….